The Spanish NIE has provided quite a lot of unpleasant last minute surprises, since is compulsory to show it on any important act made in Spain. An NIE Number is a tax identification number to be used in Spain. Prior to purchasing a property, selling a property, obtaining a mortgage, starting up a business or working in Spain, it is a requirement by law that every individual possess an NIE Number. The application process is laborious and time consuming, and without the use of a service such as ours, would require normally two trips to Spain, and over 10 hours of waiting in queues, along with the filling out of complex application forms. Once we have received your documents (POA and copies of passports – both legalised) the NIE number is obtained within 10 business days (which equates to normally 2 weeks, exceptions made for public and bank holidays). Prior to sending the documents to us, they must be notarised (by a Notary Public in your area) and then stamped with the Hague Apostille. No you do not need to send photos to apply for the NIE number. What happens if I have lost my NIE Number? Applying for a duplicate NIE number is the same process as applying for the first time. One thing to watch out for however, albeit most of the time this goes without saying, is that the same details are put on the second application form as the first because if not, they police will have problems in issuing the same number if they cannot prove 100% that it is the same person. I am an EU Citizen, what documentation do you need from me? As an EU citizen, in order to obtain an NIE Number on your behalf, we will require only a notarised, legalised power of attorney document and a notarised, legalised copy of your passport. There is nothing further required. I am an NON-EU Citizen, what documentation do you need from me? As a non-EU citizen, in order to obtain an NIE Number on your behalf, we will require a notarised, legalised power of attorney document, a notarised, legalised copy of your full passport, a full copy of your passport (all pages – email or fax is fine for this purpose), documented evidence (or proof of) why you require an NIE Number. In the case of a property purchase, a private purchase contract, a letter from a mortgage company, or similar type of document will suffice. I’ve been told I can apply for my NIE card through the Spanish consulate. Is this true? If yes, what benefits does your service offer over applying through a Spanish consulate? Yes, this is entirely true. The primary benefit of using our service as opposed to applying through a Spanish consulate is speed. 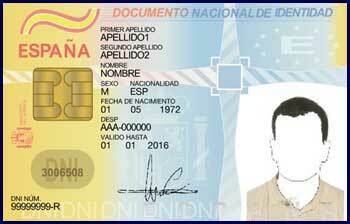 The average time required for an individual to obtain their NIE number via applying through a Spanish consulate is 16 weeks. This varies from one country to the next, we encourage people to contact their closest Spanish consulate first and enquire about their turnaround time.